my incoming new head can drive my 212 cab in 8 ohms series or 16ohms parallel to separate speakers. is there a tone difference or a more "correct" way of doing it? from the amp point of view, maybe, but from the cab point of view not really: if it does 16 ohms series, it'll do 4 ohms parallel if it is a 2x12" with 2 8 ohm speakers, unless you're talking about only connecting one 8 ohm speaker and leaving the other disconnected..
you'll have to forgive me, i'm pretty ignorant with this stuff. cab: 2 x 16ohm speakers, each with their own separate cable ports. i take that to mean i can hook up using the 2 x 16 ohm connectors on the back? No, it depends how many ohms the speaker cab is wired for. Sounds as though that's right. Test: Take one cable from the 16 ohm output to one of the connectors on the cabinet. Confirm that only one speaker is active. 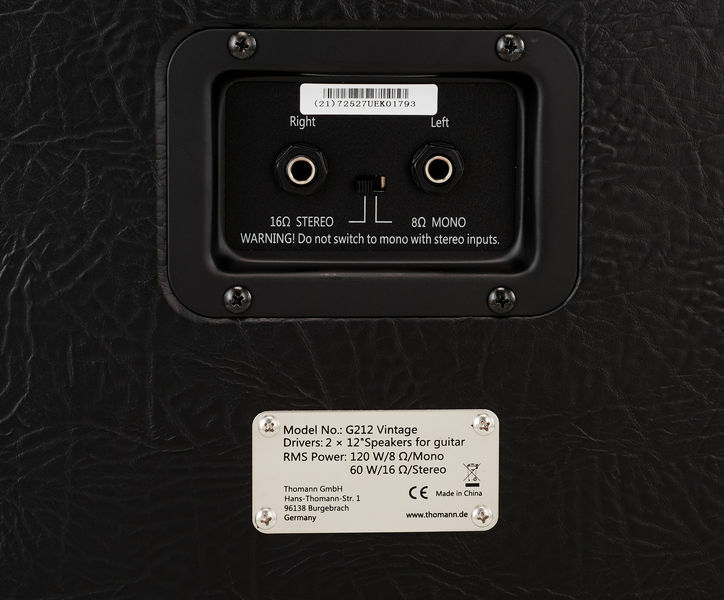 If you've already opened the box and eyeballed (or other how know) that only one speaker connects to each jack socket, fine. Some cabinets have two sockets to provide a through connection to the expansion cab. Yeah, you're good. Two cables from the "8 or 2x16" sockets on the amp to the two on the cab then.